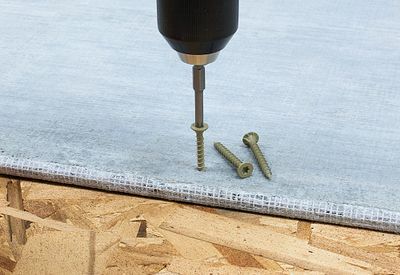 Simpson Strong-Tie, the leader in commercial and home building solutions for more than 60 years, is providing a comprehensive set of fasteners designed for interior applications and to improve your installation of cement backerboard, sub floor and underlayment materials. The Cement Board screw, MTH Underlayment screw and Strong-Drive® WSNTL Sub floor screw are designed to give the user what they need to do the job right. These fasteners are equipped with sharp points and deep-recessed heads to make installations fast and easy with fewer cam-outs. Their thread design ensures that your materials are held together tightly and create a more uniform foundation for tile, counters, backsplashes or floor coverings. Designed for use with all cement backerboards including HardieBacker®, Durock®, WonderBoard® and PermaBase®. The ANSI A108-compliant Cement Board screw is designed for ease of installation and long life. With its corrosion-resistant coating, the Cement Board screw is ideal for use with all tile backerboards. The MTH Underlayment screw is designed for fast and secure underlayment-to-sub floor installations. Unlike nails or staples, the MTH Underlayment screw prevents squeaking by holding underlayment tight to the sub floor by resisting pullout. Its compact trim head allows for a flush surface and prevents floor coverings from settling in countersink recesses. The ICC-ES ESR-1472 code-listed Strong-Drive WSNTL Subfloor screw has a twin-lead thread pattern that allows for quick and secure installations. 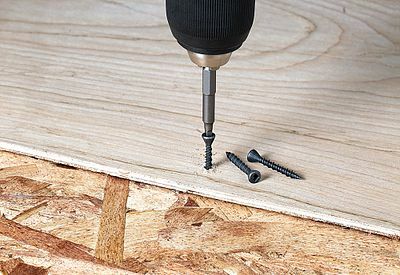 With lateral, shear and withdrawal values that exceed those of 10d common nails, the holding power of the WSNTL screw eliminates the gaps between the joist and subfloor that cause floor squeaks. 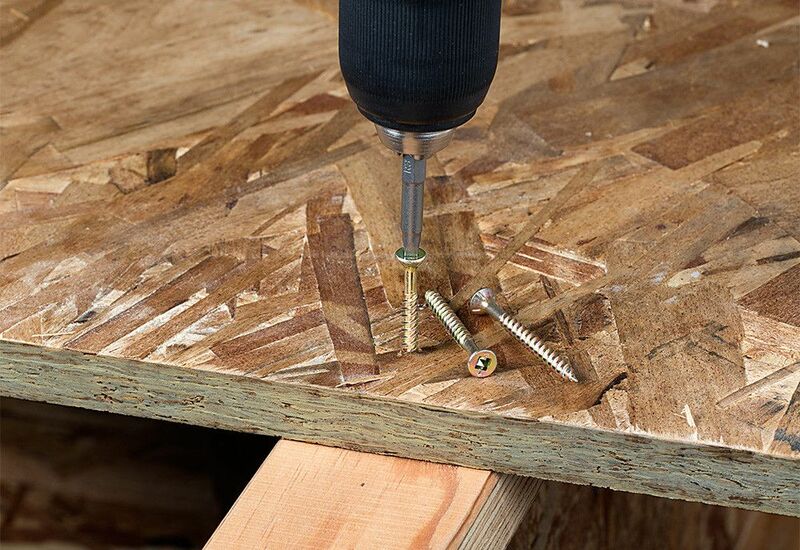 The WSNTL screw countersinks easily and backs out smoothly, allowing for easy future access to floor cavities.